A small farm with fully furnished, renovated house close to Peyrat le Chateau with nearly 12,000m2 of land. Perfect for horses. This house, barns and land could make a great family home or a lock up and leave holiday home . . .
A perfect ‘lock up and leave’ home just 2Km to the nearest restaurant and 45 minutes from Limoges in the Millevache National park. This three bedroom home has double glazing throughout and Gas fired central heating, it is a . . .
A converted and modernised two bedroom farmhouse with kitchen/diner and lounge. Fully . . . Surrounded by a handful of pretty market towns and only 40km (25 miles) from Limoges, this . . . This lovely tradition stone built farmhouse is set in the middle of a quiet village and is . . .
With fantastic views over Lake St Helene, this property has been tastefully modernised by the . . .
A four bedroom house in the heart of the village, with manageable garden and walking distance to all the amenities you will need. This four bedroom house is only 100m from the village square and just waiting for you to put . . . 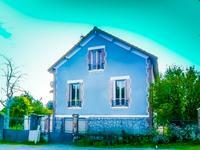 Pretty detached 3/4 bed house with 1630m2 terrain and attached barn. Nice view of the countryside. Set in the centre of a small and peaceful village this property offers a habitable main house . . .
With 4 double bedrooms, 3 bathrooms, kitchen, dining room and big lounge with wood burner, . 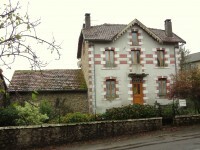 . .
Overlooking the village church, this property is full of authenticity and French charm. It . . .